This is my personal web-page. Digital systems. Asynchronous circuits. Low-power design. Networks-on-Chip. Many-core architecture. Cyber physical systems. 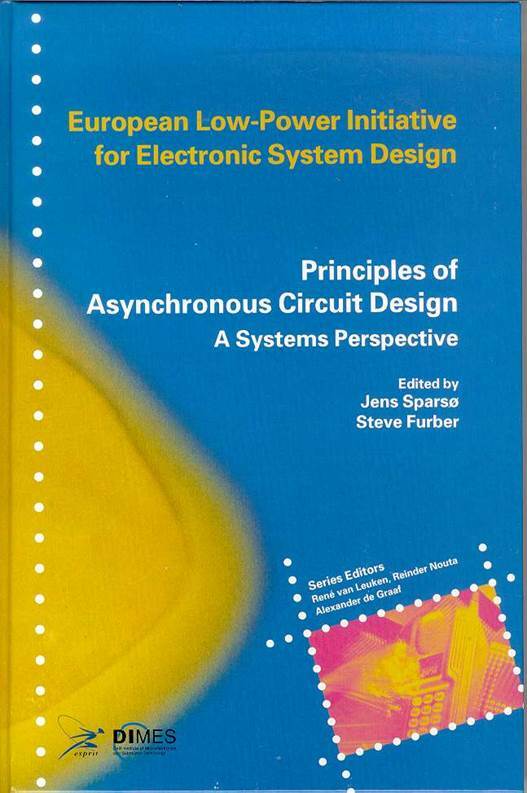 Principles of asynchronous circuit design - A systems perspective. In 2009 the book was translated into Chinese at the initiative of the Chinese Academy of Sciences. M. Schoeberl, L. Pezzarossa and J. Sparsø, "A Multicore Processor for Time-Critical Applications," IEEE Design & Test vol: ? ?, issue: ? ?, pages: ???-?? ?, 201?. E. Kasapaki, M. Schoeberl, R.B. Sørensen, C. Müller, K. Goossens, and J. Sparsø, "Argo: A Real-Time Network-on-Chip Architecture With an Efficient GALS Implementation," IEEE Transactions on Very Large Scale Integration (VLSI) Systems, vol: 24, issue: 2, pages: 479-492, 2016. I. Kotleas, D. Humphreys, R.B. Sørensen, E. Kasapaki, F. Brandner, and J. Sparsø, "A Loosely Synchronizing Asynchronous Router for TDM-Scheduled NOCs," Proc. 8th IEEE/ACM International Symposium on Networks-on-Chip (NOCS), 2014, pages: 151-158, 2014. J. Sparsø, E. Kasapaki, and M. Schoeberl, "An area-efficient network interface for a TDM-based Network-on-Chip," Proc. of Design, Automation & Test in Europe Conference & Exhibition (DATE), pages: 1044-1047, 2013. M.B. Stensgaard, and J. Sparsø, "ReNoC: A Network-on-Chip Architecture with Reconfigurable Topology," Proc. ACM/IEEE International Symposium on Networks-on-Chip (NOCS), pages: 55-64, 2008. S.F. Nielsen, J. Sparsø, and J. Madsen, "Behavioral Synthesis of Asynchronous Circuits Using Syntax Directed Translation as Backend," IEEE Transactions on Very Large Scale Integration Systems, (17)2: 248-261, 2009. T. Bjerregaard, and J. Sparsø, "A Router Architecture for Connection-Oriented Service Guarantees in the MANGO Clockless Network-on-Chip," Proc. Design, Automation and Test in Europe Conference and Exhibition (DATE), pages: 1226-1231, 2005. T. Bjerregaard, and J. Sparsø, "A Scheduling Discipline for Latency and Bandwidth Guarantees in Asynchronous Network-on-Chip," Proc. IEEE International Symposium on Asynchronous Circuits and Systems (ASYNC), pages: 34-43, 2005. 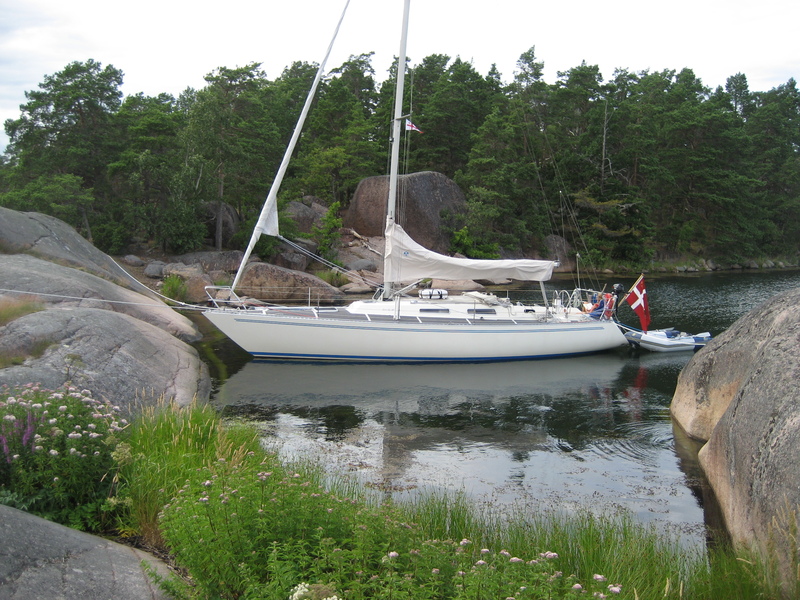 Ö. Paker, J. Sparsø, M. Isager, N. Haandbæk, L.S. Nielsen, "A Low-Power Heterogeneous Multiprocessor Architecture for Audio Signal Processing," Journal of VLSI Signal Processing-Systems for Signal, Image, and Video Technology, (37)1:95-110, 2004. L.S. Nielsen, and J. Sparsø, "Designing Asynchronous Circuits for Low Power: An IFIR Filter Bank for a Digital Hearing Aid," Proceedings of the IEEE, (87)2:268-281, 1999. L.S. Nielsen, and J. Sparsø, An 85 micro Watt Asynchronous Filter-Bank for a Digital Hearing Aid Proc. IEEE International Solid State circuits Conference (ISSCC), pages: 108-109, 1998. L.S. Nielsen, C. Niessen, J. Sparsø, and C.H. van Berkel, "Low-power operation using self-timed circuits and adaptive scaling of the supply voltage," IEEE Transactions on Very Large Scale Integration Systems (2)4:391-397, 1994. J. Sparsø, and J. Staunstrup, "Delay-insensitive Multi-ring Structures," Integration, the VLSI journal, (15)3: 313-340, 1993. E. Paaske, S. Pedersen, and J. Sparsø, "An area-efficient path memory structure for VLSI Implementation of high speed Viterbi decoders," Integration, the VLSI journal, vol: 12, issue: 2, pages: 79-91, 1991. J. Sparsø, H.N. Jørgensen, E. Paaske, S. Pedersen, and T. Rübner-Petersen, "An area-efficient topology for VLSI implementation of Viterbi decoders and other shuffle-exchange type structures," IEEE Journal of Solid State Circuits, (26)2:90-97, 1991. 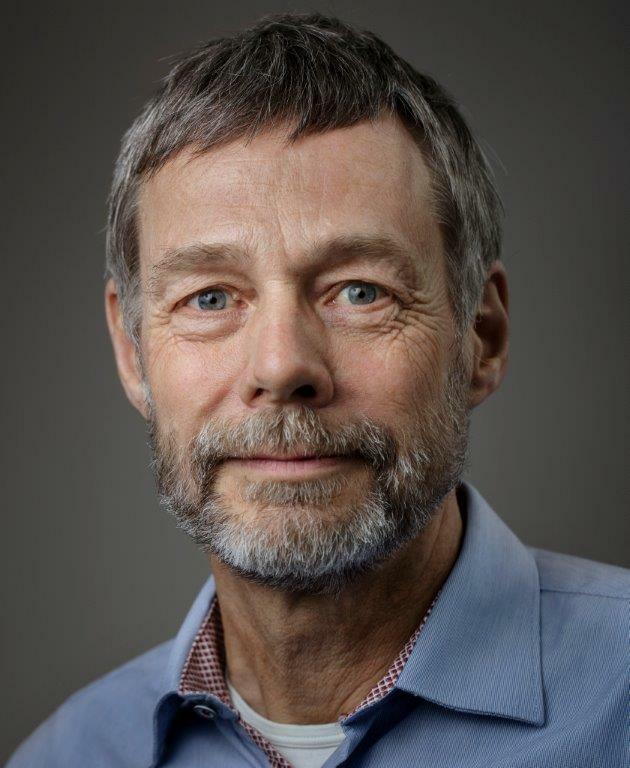 Jens Sparsø (Member, IEEE) is a professor at the Technical University of Denmark (DTU). His research interests include: design of digital circuits and systems, design of asynchronous circuits, low-power design techniques, application-specific computing structures, computer organization, multi-core processors, and networks-on-chips - in short, hardware platforms for embedded and cyberphysical systems. 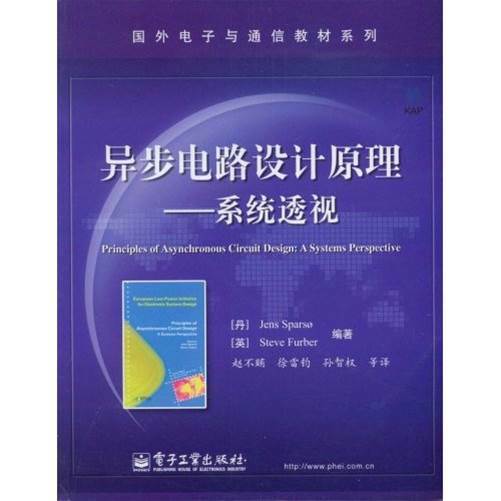 He has published more than 80 refereed journal and conference papers and is co-author of the book ``Principles of Asynchronous Circuit Design - A Systems Perspective'' (Kluwer, 2001), which has become the standard textbook on the topic. He received the Radio-Parts Award and the Reinholdt W. Jorck Award in 1992 and 2003 respectively, in recognition of his research on integrated circuits and systems. He received the best paper award at ASYNC 2005, and one of his papers was selected as one of the 30 most influential papers of 10 years of the DATE conference. He has supervised 14 PhD students. Two are underway and 12 have successfully completed their studies. Among the latter, two are now in academic careers, and the rest have established successful careers in research and development in national and international companies. He is a member of the steering committee the ACM/IEEE Intl. Symposium on Networks-on-Chip (NOCS). 02203 Design of Digital Systems. Computer architecture, based on the textbook by Hennessy and Patterson. Luca Pezzarossa (Ph.d. student, 2014-2018). Principal supervisor. Oktay Baris (Ph.d. student, 2017-2020). Co-supervisor. Principal supervisor is Martin Schoeberl. Eleftherios Kyriakakis (Ph.d. student, 2018-2021). Co-supervisor. Principal supervisor is Martin Schoeberl. From 2005 to 2011 I was director of studies for the B.Eng. in IT study program, and I was a member of the Deans task-force that worked out a plan for the introduction of the CDIO-concept as the basis for all of DTU's B.Eng. study programs. Technical Program Chair for ASYNC 2006. Program chair and local organizer of ACiD-WG summer school on asynchronous circuit design 1997. 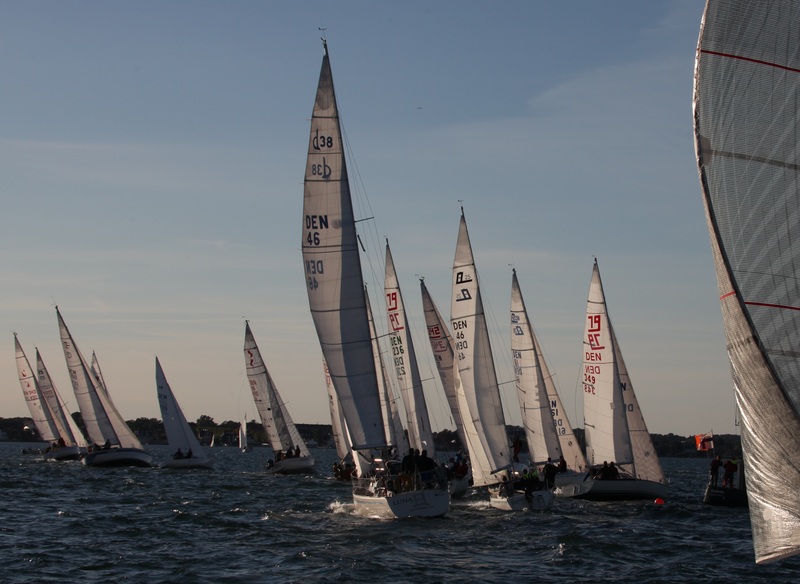 ... you may find me on the water exercising, racing (one way or another), or simply relaxing and enjoying life.